'Mad Men,' 'American Horror Story,' 'Downtown Abbey' lead the pack. 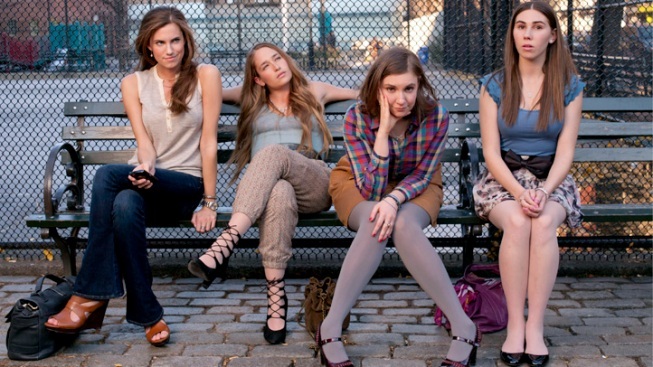 The cast of HBO's "Girls": Allison Williams, Jemima Kirke, Lena Dunham and Zosia Mamet. Emmy's fascination with period dramas continues unabated with the 2012 nominees announced Thursday. As if the academy's homegrown love affair with AMC's "Mad Men" wasn't enough (17 nominations making it leader of the pack along with "American Horror Story"), international affection was showered on Brit drawing room melodrama "Downton Abbey" to the tune of 16 nods (including best drama series). FX’s thriller, "American Horror Story" broke into the Emmys in a major way, receiving noms in the miniseries category and for lead actress Connie Britton and supporting talent Jessica Lange, Frances Conroy and Denis O'Hare. The History Channel's dramatic retelling of the "Hatfields & McCoys" – which premiered to a record 14.2 million viewers in May – earned 16 nominations including outstanding miniseries and lead actor nods for Kevin Costner and Bill Paxton. No doubt creating a little drama all of its own over at Fox is that for the first time in 10 years, since the Reality Program - Competitiion category was added to the list of Emmy Awards handed out annually, "American Idol" was not nominated. 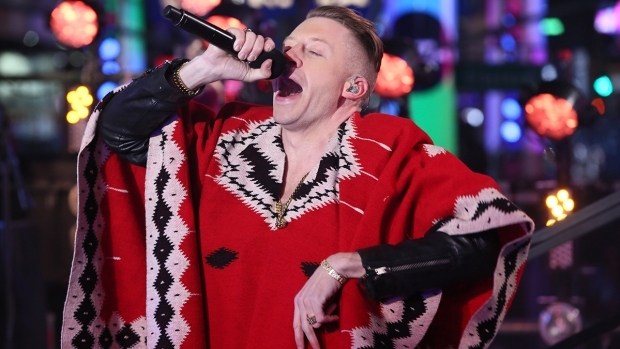 The talent competition, shown on the Fox network was passed over in favor of NBC's "The Voice." Though "Idol" remains a ratings powerhouse, viewership has taken a hit in recent years as other competition shows - such as newly nominated "The Voice" - crowd primetime. Coming off the recent news of Jennifer Lopez and Steven Tyler stepping aside as judges, the omission may have "Idol" execs looking to revamp aspects of the reality stalwart in an effort to return it to nomination prominence. Once out, it can be tough to return. "Survivor" has not been nominated in the same category since 2006. Another shock coming out of the nominations is that for the first time in Emmy history no major networks are represented in the outstanding drama series category. Cable networks rule, according to the Academy of Television Arts & Sciences, who award the Emmys each year. HBO has two shows nominated: "Boardwalk Empire" and "Game of Thrones," as does AMC with "Breaking Bad" and "Mad Men." "Downton Abbey" on PBS and Showtimes' "Homeland" round out the nominees. "Mad Men" has won four back-to-back best drama series trophies and is tied with "Hill Street Blues," ''L.A. Law" and "The West Wing" for Emmy wins in the category. Of the six outstanding comedy series nominations, HBO took half. Nods to returning "Curb Your Enthusiasm" and new comers "Girls" and "Veep" must have the suits at HBO smiling. Major network shows round out the list: ABC's "Modern Family," winner in the category for the past two years, is there and joining it are CBS' "The Big Bang Theory" and NBC's "30 Rock." It's been a series of firsts for "Girls," the edgy Brooklyn-based series about four twenty-something girls trying to make it in New York. Show creator Lena Dunham was also nominated in the lead actress in a comedy series category. "This is a very surreal experience for me," Dunham told the New York Times following the nomination announcement. "I’d had my whole pep talk of, 'They don’t even matter – I’m just a punk.' Then the minute I got the call I was shrieking like a maniac. 'This is the only thing that’s ever mattered!' We’re all susceptible." Fox’s “New Girl,” one of the highest rated new sitcoms of the season was not nominated for a series award. Nor was NBC’s “Parks & Recreation." But the stars of both shows, Zooey Deschanel and Amy Poehler, were nominated in the lead actress in a comedy category. When it comes to funny men, the question will be whether "Louis'" Louis C.K. can topple "The Big Bang Theory's" Jim Parsons for the lead actor comedy gong. Entertainment Weekly recently labeled C.K. the world's greatest comedian, with critical and fan approval of the FX Network show riding an all time high. On the same list are Larry David ("Curb Your Enthusiasm"), Don Cheadle ("House of Lies"), Jon Cryer ("Two and a Half Men") and Alec Baldwin ("30 Rock"). None of whom will make the voters job easy here. Other acting nomination notables include "Modern Family" dominating the supporting acting in a comedy categories. Julie Bowen and TV's highest paid actress Sofia Vergara are both in the supporting actress mix along with the late Kathryn Joosten of "Desperate Housewives," Meritt Weaver for "Nurse Jackie," "SNL's" Kristen Wiig and Mayim Bialik for her quirky portrayal of Amy Farrah Fowler on "The Big Bang Theory." Stacking the deck in the supporting actor in a comedy series competition are Ed O'Neill, Jesse Tyler Ferguson, Ty Burrell and Eric Stonestreet - "Modern Family's" top four men. SNL's Bill Hader and newcomer Max Greenfield ("New Girl") will have their work cut out trying to beat one of the fictional Pritchett clan to the podium on award night. In a surprise twist for all its 14 nominations, "Modern Family" was shut out of the outstanding writing for a comedy series category. "Community," "Girls," "Louie" all made the cut, as did "Parks and Recreation" with two nods. The dramatic acting categories offered a few eyebrow raises as well, not for the quality of work represented but for the inclusion of canceled shows and the omission of some high profile performances. Kathy Bates received a lead actress drama nomination for her role in the now defunct "Harry's Law," as did Glenn Close ("Damages"), Michelle Dockery ("Downton Abbey"), Claire Danes ("Homeland"), Elizabeth Moss ("Mad Men") and 2011 winner Julianna Margulies ("The Good Wife"). In the supporting actress drama arena, "Mad Men's" Jessica Pare was passed over in favor of Christina Hendricks. Both women had strong story lines during the season with many critics and fans calling for Pare to be recognized. Maybe next year. That's a sentiment Jon Hamm is used to. Nominated for the past five years for the lead actor in a drama Emmy, Hamm is yet to take home the gold statue. In what was his character's least explosive season on "Mad Men," Hamm's nuanced take on Don Draper the now-monogamous family man still battling his inner demons may just push him over the finish line in front of other nominees Michael C. Hall ("Dexter"), Bryan Cranston ("Breaking Bad"), Hugh Bonneville ("Downton Abbey"), Damian Lewis ("Homeland") and Steve Buscemi ("Boardwalk Empire"). Not on the list was Kelsey Grammer who missed out for his turn as a ruthless Chicago mayor in Starz' "Boss." HBO led all networks with 81 nominations. CBS led broadcast networks with 60 nominations.